DAYTONA BEACH, Fla. -- Authorities say a man fatally punched a woman who tried to prevent him from re-entering a bar where he had fondled her against her will. 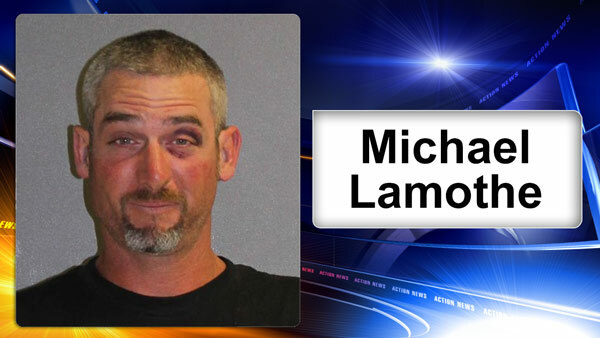 The Daytona Beach News-Journal reports 35-year-old Michael Lamothe was arrested on aggravated battery charges after the incident at Oyster Bay pub in Daytona Beach early Sunday. The charge was upgraded to manslaughter after 54-year-old Debra Jost died. The newspaper says police found Jost on the floor with a cut to the back of her head and blood coming from her nose and mouth. Witnesses told investigators Lamothe walked up behind her, hugged her and grabbed her breasts. He left the bar and Jost tried to close the door when he attempted to return. Lamothe remains in jail without bond. Jail records don't list an attorney.